DataSciencePi: Using a Raspberry Pi as a Plug-In Processor #piday #raspberrypi @Raspberry_Pi « Adafruit Industries – Makers, hackers, artists, designers and engineers! 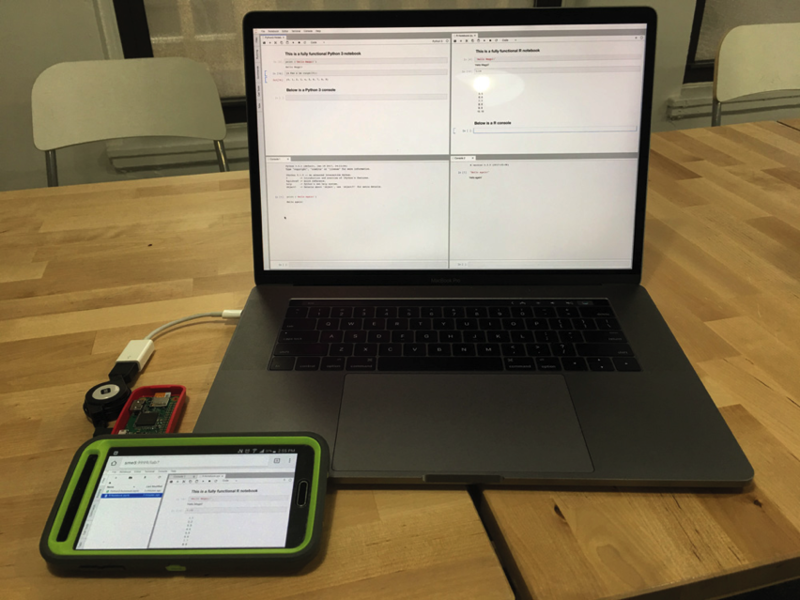 Scott Edenbaum, a recent graduate from the NYC Data Science Academy, has turned a humble Pi Zero into DataSciencePi: a data crunching, code trialling, data science-ing auxiliary processor. Wanting to avoid “the potential for security exploits” of installing MySQL on his main development computer, Scott instead used virtualisation software Docker to create standard environments for Python and R (a programming language suited to data science). Scott’s approach avoids the “multiple (possibly conflicting) dependencies” of Python and R, while allowing him to create his sandbox coding and testing environment quickly and easily. Building the environment from scratch each time is “a process that takes 2+ hours on a Raspberry Pi 3”, let alone a modest Pi Zero.